Imagine that you are a famous explorer traveling all around the United States. What would be one of the most valuable tools on your journey? A MAP of course!!! On this web quest, you will be using several different kinds of maps to help you with your journey. Alright explorers, in order to make your journey as smooth sailing as possible, you are going to start out playing some map puzzle games to help you identify all of the states. 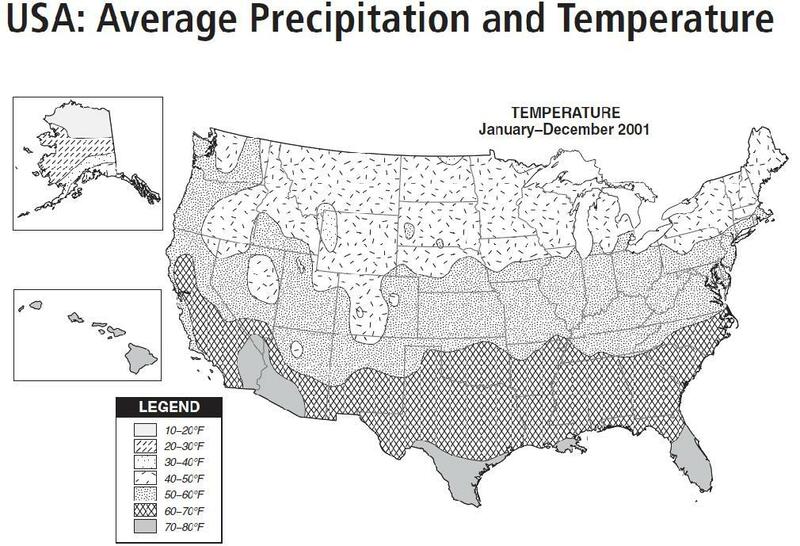 Once you are better at recognizing the states, you are going to examine climate, temperature and time zone maps of the United States. Then you will answer questions, in your travel journal, about what you have learned. Click the website below to complete the puzzle. Click "States, Easy". Drag the highlighted state to its location on the map. When you are finished, write in your Travel Journal how long it took you to complete the puzzle. 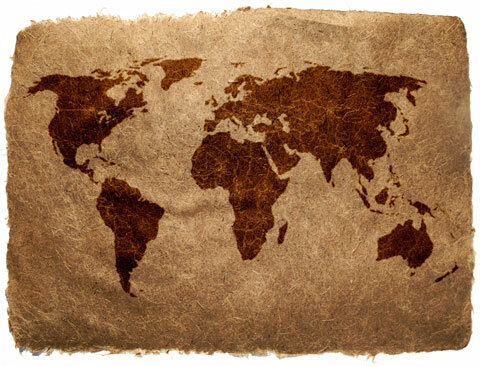 Now that you have brushed up on your states and their locations, you're ready for the next part of your exploration. Since you are going to be traveling all over the country it is important that you know a little about the climate of these places. Climate means weather. The first map (below) will show the temperatures across the United States. Answer these 2 questions under Task #2 in your Travel Journal. Question 1: What was the average temperature across most of the northern part of the United States? Question 2: What was the average temperature across most of the southern part of the United States? 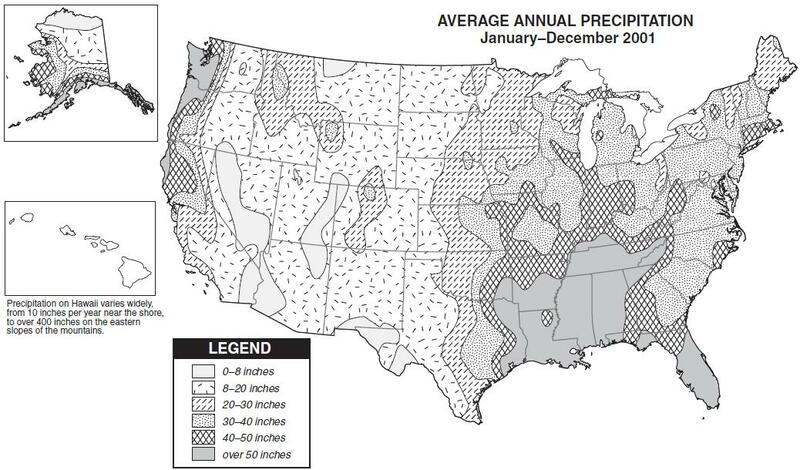 The next map (below) will show precipitation, or the amount of rain or snow, the states have had in a year. Answer these 2 questions under Task #3 in your Travel Journal. Question 1: Which state receives more rain, Maine or Florida? Question 2: How many inches of rain does most of Arizona receive annually (in a year)? Well explorers, you have learned about the 50 states and their locations, their average temperatures, and even how much precipitation falls in each state. Your expediton is not over yet and you need to stick with a schedule. Since you don't want your wrist watch to be wrong when you travel across the country, it is important that you learn about the various time zones in the United States. Use the map below to answer these 2 questions under Task #4 in your Travel Journal. 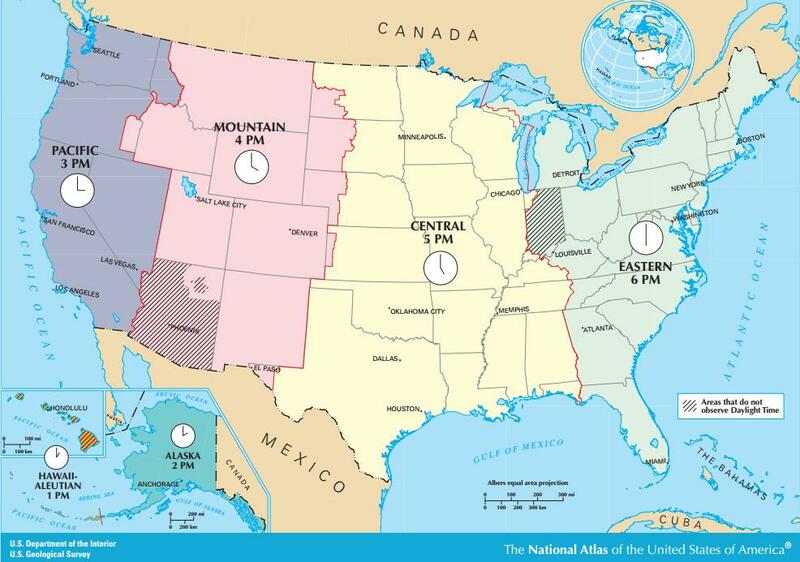 Question 1: How many time zones are there in the United States? Question 2: What time zone is Arizona in?